Where to start? I’ve missed 5 weeks worth of posts but don’t despair, I have been practicing Lhakar at the ground level. Wednesday 7th December: I was joined by over 50 of my fellow Tibetans and supporters at the House of Commons where Simon Hughes, Deputy Leader of the Liberal Democrats, chaired a debate on the current crisis in Tibet. 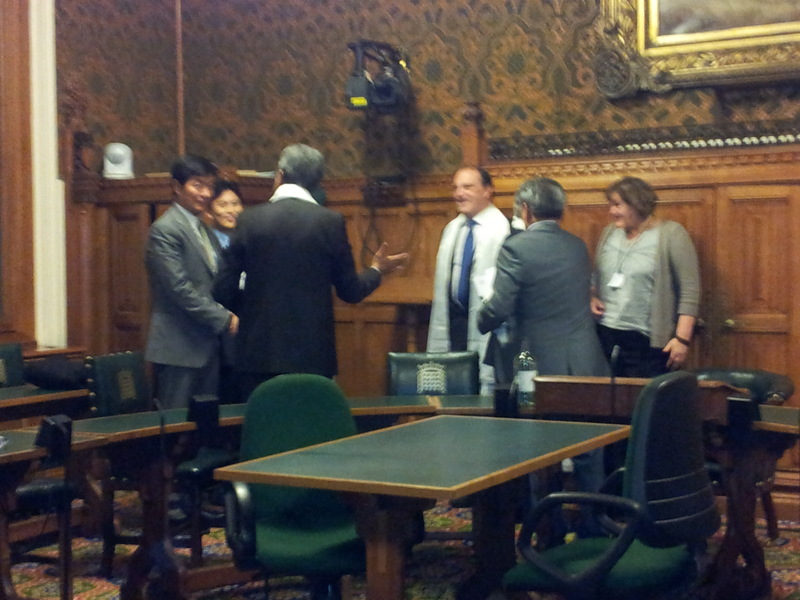 It was very encouraging to see MPs expressing their deep concerns about China’s crackdown. Not only did they press the urgency of calling for China to restrain their military force in Tibet, but also to respect the right for Tibetans to live on their land. This debate could not have come at a more critical time. Tibetans inside Tibet have reached a breaking point. On the 2nd of December, Tenzin Phuntsok became the 12th Tibetan this year to set himself on fire in protest against China’s oppression. Seven are known to have died, and pamphlets handed out in Ngaba, Eastern Tibet suggest that more Tibetans are prepared to take this drastic and tragic action. But we do not have the luxury of despair. At this critical time, we give Tibetans in Tibet a reason to hope. We must show them that their actions are being heard and met with overwhelming global support. Wednesday 30th November: This was a full fun packed day, starting off with meeting friends in the city wearing our chubas, followed by a reception with Lobsang Sangye and the All Party Parliamentary Group for Tibet, rounded off by our attendance at weekly vigil for Tibet outside the Chinese embassy. However, I did have the opportunity to meet with Lobsang Sangay again the next day at the Tibet Support Group meeting. It was good to hear him speak and refreshing to hear our leader doing the European rounds, building contacts and trying to put the Tibet issue at the forefront. In response to one of my questions Lobsang Sangay said the Tibetan administration is in support of Lhakar and has fully embraced it! Yay! His Holiness’ Representative in UK, Thubten Samdup, added Tibet Support Groups and Tibetan organisations need to push the boat out a little and get out of their comfort zones, start becoming a little more creative, reach out to new people, new connections and not always preaching to the converted. It was very refreshing to hear someone from our government talk about strategy, creativity and action. I hope we as Tibetans and support groups can rise to the challenge. Wednesday 23rd November: I officially moved out of my place back into my parents’ home, which is all part of my Lhakar pledge to save some money for my Tibetan studies at Sarah College. 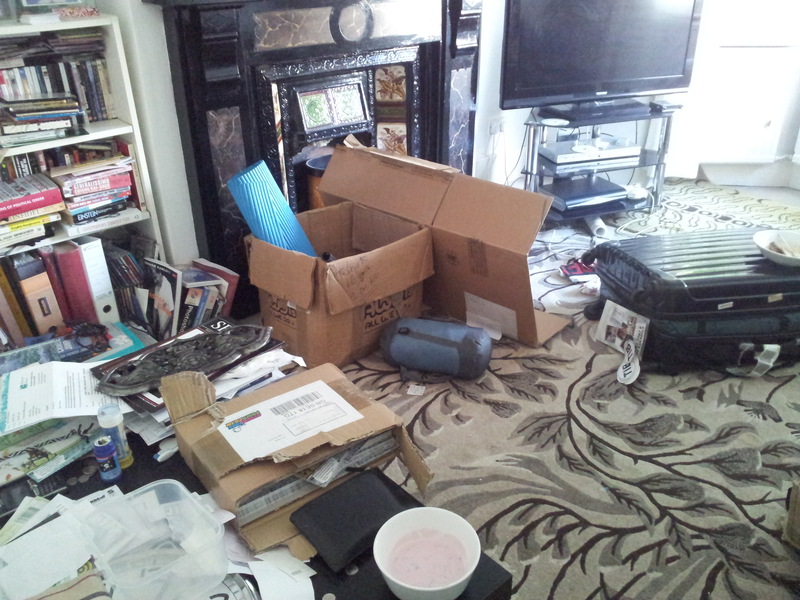 Moving out is not easy especially when you’ve just booked an unexpected trip to New York to fly out on the same day! I almost missed my flight and the seats were all taken so guess what?? They shifted me to FIRST CLASS BABY!! As soon as I sat on that massive chair I was offered champagne; I was feeling very classy in my hoody and dirty boots. I could have passed as a hipster. Wednesday 16th November: I was probably eating momos. Wednesday 9th November: Recovering from the 5 sleepless nights and 6 long days in Cannes for the G20 actions as well as preparing for the following SFT annual training weekend at Hull University. The training went down really well and it was encouraging to see new Tibetans and supporters show interest in the cause and eager to find out ways of working together to strengthen the movement. Myself, Tsephel and Gabriel from SFT UK went to Cannes, joining SFT and TYAE activists from Europe, to take our message directly to world leaders and to Chinese President Hu Jintao himself. On the eve of the G20 Summit, SFT members rappelled off Cannes Train Station and unfurled protest banners and Tibetan flags. I was SFT’s official spokesperson for the action, and expressed the urgent need for global action for Tibet to the media. 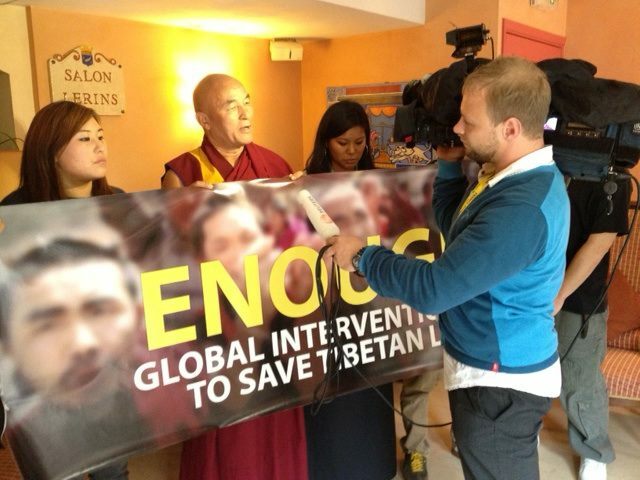 We tried our best to call as many Tibetans and supporters from Europe to come to Cannes and take part in the global day of action with us, and they did. RTYC Belgium worked with SFT France in organizing busses, SFT talked with TYAE to spread the word in Swiss, and the Tibetan Womens Association (TWA) organized the bus from Switzerland. It was hectic: non stop actions, running around, organizing, but it was well worth it. 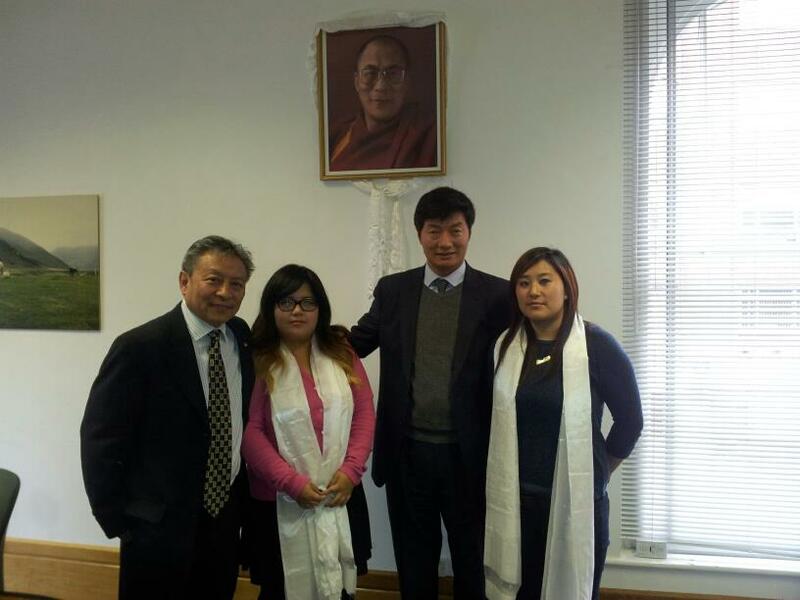 I also felt very honored to have our two Tibetan MPs from Europe: Chungdak Koren and Ven. Thupten Wangchen speak out and show great enthusiasm and direction. I felt proud and well represented by our chitues (MPs). 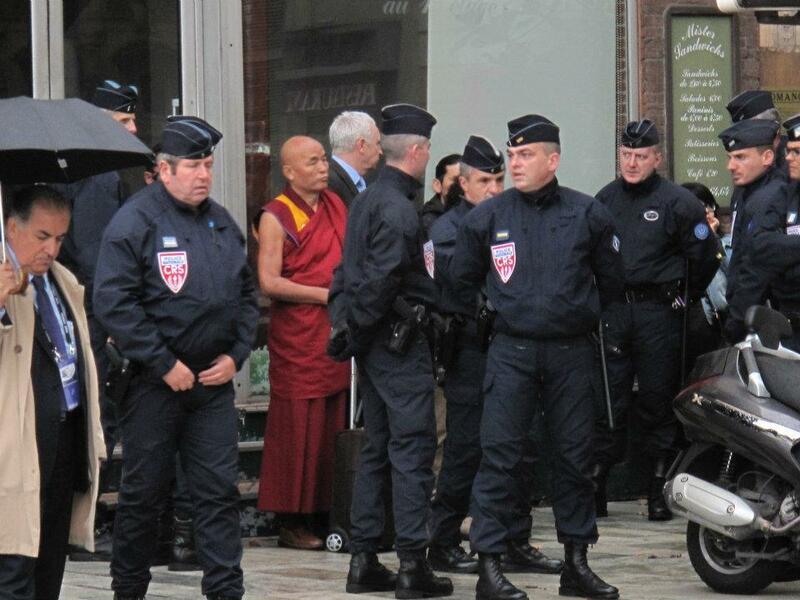 As world leaders were greeted by President Sarkozy in Cannes, we held a press conference to demand China end the repression in Tibet and to call on world leaders to multilaterally intervene to stop the growing crackdown. 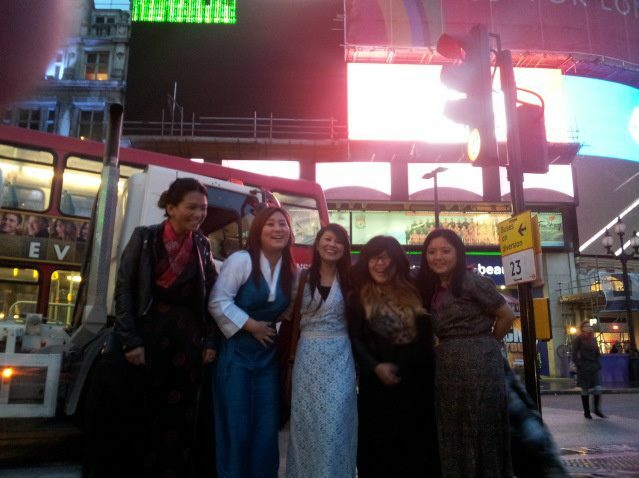 7 Tibetans and supporters, including Ven. 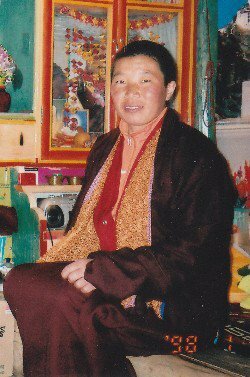 Thupten Wangchen were then detained for staging a die-in at the security perimeter and for attempting to deliver the 23,000-signature petition to Stand up for Tibet. We rocked Cannes and our message was heard, now lets keep putting on the pressure and take to the next stage. THINK MASS LOBBY, THINK MARCH 10th, but there is also a lot more we can do before that to continue the momentum and the build up the pressure on the Enough! Campaign. These past two months have been hectic and also an emotional time for us all, but we have to be focused on the goal, and the goal for this campaign is to end the crackdown in Eastern Tibet. This is achievable, our letter writing, phone calls and face to face meeting with local MPs, senates, government bodies, decision makers are being sounded and heard. Obama held the Enough! Petition in his hands, Hillary Clinton pointed the finger at China at the APEC summit, the Germans made a statement and then the British called on a debate on the Tibet crisis. The alerts are being heard, so let us keep pushing until we see concrete results. As His Holinesses’ representative said, let us be strategic, make those in power accountable and take action, we need to get something out of all of this! WE CAN DO IT PEOPLE!! In remembrance of Palden Choetso and those who self-immolated i pledge to improve my skills and ability to work efficiently and effectively for the Tibetan freedom struggle. Great stuff, almost expected of you now. keep it up! very interesting & keep on the blissful spirit .. we appreciate it ..